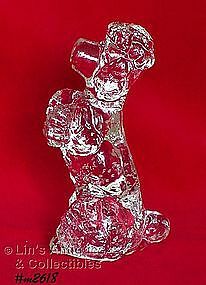 This is an eye-catching item – a glass poodle! It measures 5” tall, is made of clear glass (has bubbles), and is in excellent condition. Neat collectible!